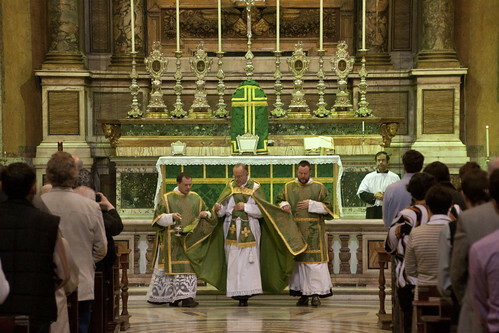 On the Sunday of the FIUV General Assembly, we went (as we did in 2009) to the church of the Fraternity of St Peter, Sta Trinita. 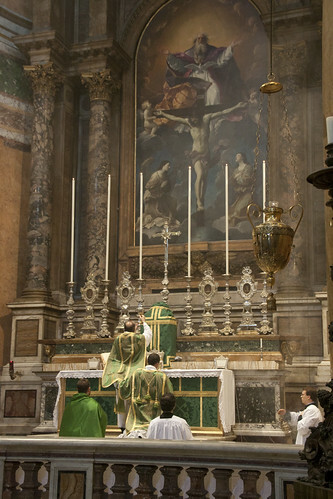 This is a very lovely church, of which Fr Kramer FSSP is the Parish Priest, and Fr William Barker FSSP his deputy. 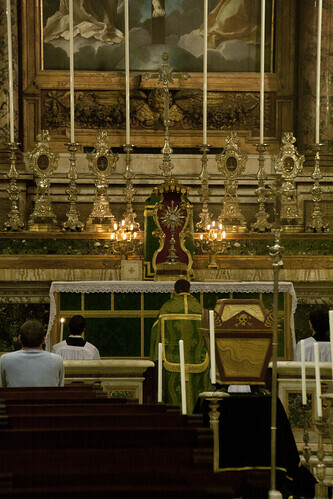 Although I've already referred to the Solemn Mass we all attended on Sunday morning, and the Low Mass said by Fr Barker I attended the same evening, since I have finally processed my photographs of these Masses here is a small selection. 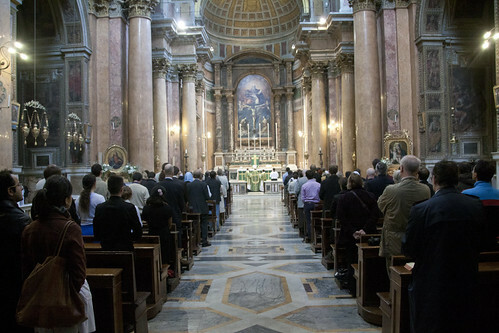 The church was packed for the morning Mass. 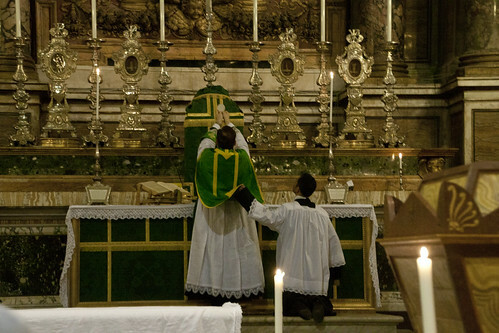 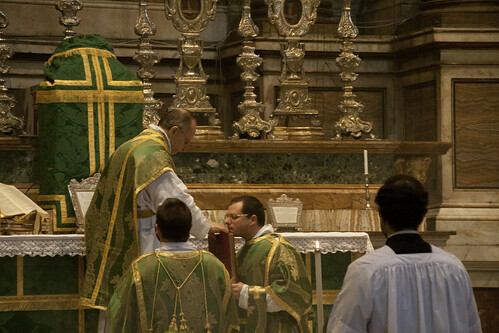 More photos of Solemn Mass here. 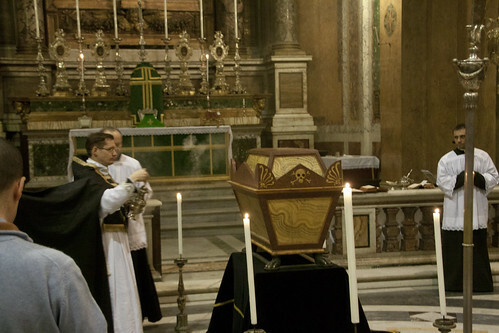 Low Mass, which was preceeded by Benediction and followed by the blessing of a very beautiful catafalque, with the singing of the Libera me. 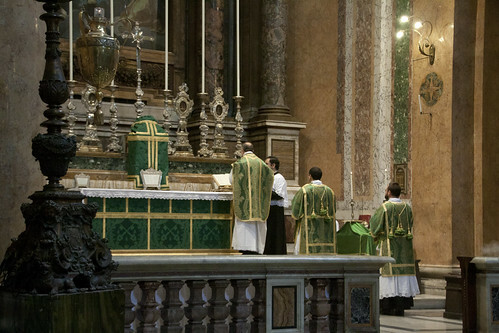 More photos of the Low Mass here.